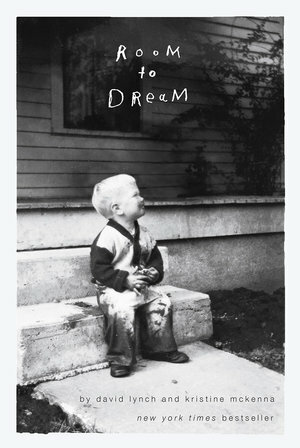 Room to Dream brims with detail but the real David Lynch remains elusive. Always keen to do things his own way, filmmaker David Lynch presents Room to Dream as "a person having a conversation with his own biography." Chapters of conventional biography, written by journalist Kristine McKenna, alternate with chapters of reflections by Lynch himself. This structure promises a deconstruction of a conventional biography, but this unconventional choice does little to advance the narrative. For one reason, any inconsistencies Lynch notes with McKenna's work are small. For example, Lynch's brother tells McKenna that Lynch could talk eloquently about films from a very early age; in the corresponding autobiographical chapter, Lynch reveals that he doesn't recall this early enthusiasm. As a result, Lynch's chapters rarely adds anything revelatory to what has gone before. That said, Lynch's own segments, in his distinctive folksy idiolect, feel dictated rather than written and as a result make for engaging reading. Further, it seems likely that as McKenna knew Lynch would be reading and commenting on her chapters, she coats her chapters with an approving gloss, one which extends beyond his working life into his personal life. Reading between the lines though, it's not difficult to discern a somewhat cold figure who is distant from his family, and fixated upon somewhat morbid pursuits such as dissection. Lynch's legacy is in many ways contested. He was out of favour for much of the 1990s and out of work as a filmmaker for the decade between Inland Empire (2006) and the release of Twin Peaks: The Return (2017) (the latter a divisive return to a much-changed media landscape). But over the years, a wealth of information about this once-mysterious figure has appeared, from his book, Catching the Big Fish (TarcherPerigee, 2007) a treatise on his own new age beliefs, to Chris Rodley's Lynch on Lynch (Faber & Faber 1997) book of interviews, which covers much of the same ground as here. For example, Room to Dream details the "euphoric 1950s chrome optimism" of Lynch's childhood in an idyllic Midwest where sinister things lurk below the surface. This is something of a well-worn topic for Lynch, as well as seeming like a primal scene for Blue Velvet and Twin Peaks. When we read of his time as a struggling artist and filmmaker in Philadelphia during its '70s-era decline, we can't help but think of the grimy industrial aesthetic of 1977's Eraserhead. When McKenna reaches Lynch's Hollywood success, various actors and collaborators emerge to gush about his intuitive creativity, his disarming manner, and his intense perfectionism. Long-term Lynch fans will savor the wealth of information here, especially about Lynch's non-screen media projects and about the more recent part of his career, including the mammoth undertaking of co-writing and directing all 18 episodes of Twin Peaks: The Return. Other fascinating morsels are distributed throughout the text, such as Lynch's return to Boise, Idaho to investigate the suicide of an ex-girlfriend. This happened during the making of Fire Walk With Me, and eerily parallels certain details from that film. However, much like the many digressions found in his own late work, details like this appear, tantalize, and then are quickly passed over. As an overview of his working life Room to Dream delivers the goods, but as a portrait of the man it feels lacking, and at times reads like a long-form press release. Those looking – as Lynch fans often are -- for a totalizing "meaning" across his films and other work won't find it here, but they may find their thoughts being drawn in another direction: towards Lynch's working methods. He works meticulously and relentlessly with only a close group of trusted collaborators, and has an instinctive, hyper-aware feel for textures. Upon closing the book, the reader will be left with a distinct feeling that texture is key to understanding the distinctive universe that Lynch has been creating for more than four decades now.